AN appeal for information has been launched by the Scottish SPCA after two rabbits were found abandoned in Glasgow. The animals were left in a sealed cardboard box behind bins on Drumry Road East in the city’s Drumchapel area on February 8. 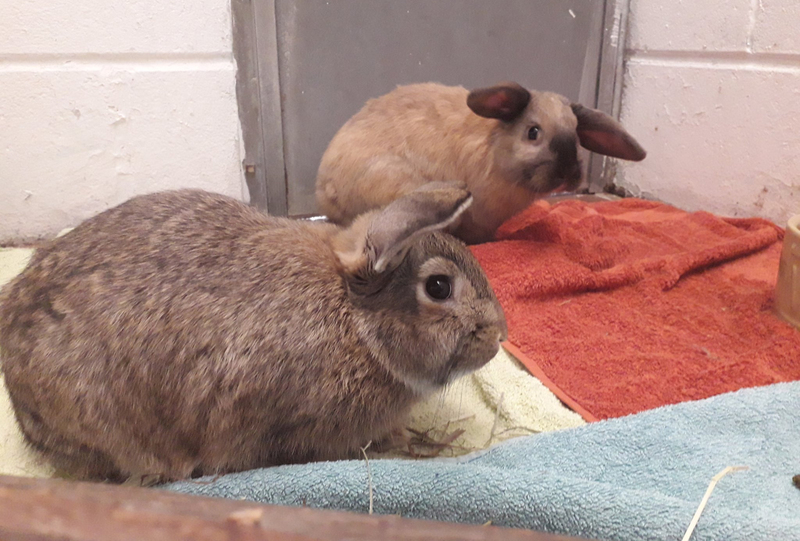 Animal rescue officer Amy Stirton said: “It’s very fortunate that these two rabbits were discovered by a member of the public who alerted us to the incident. Ms Stirton urged anyone in the area who recognises the rabbits or has any information on who may have abandoned them to call the SSPCA’s confidential animal helpline on 03000 999 999. 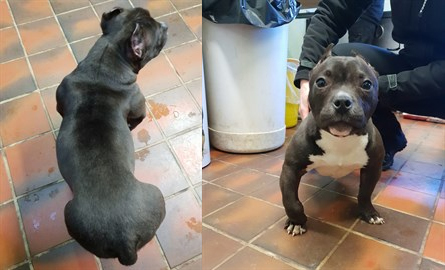 The animal charity has also issued a separate appeal after a one year old pocket bully dog with mutilated ears was found in Strathclyde Park. The SSPCA were alerted on 1 February by Police Scotland who were made aware of the abandoned dog by a member of the public. An undercover member of their special investigations unit said: “We are unsure how long the dog was left alone at the park for but she was lucky to have been spotted by a member of the public who knew something wasn’t right. “Unscrupulous breeders breed this type of dog for aesthetic purposes. The intensive breeding of these dogs in order to create the barrel-chested, heavily muscled, wide gaited bully of today has led to them becoming a sought after breed which can be sold for in excess of £10,000. “To add to the status symbol of these dogs it is a growing trend in the UK to crop the dogs’ ears. Any surgical procedure carried out for purely aesthetic purposes is illegal. “It’s a real shame that a number of people won’t even realise these animals aren’t supposed to look like this, and don’t understand the amount of pain and suffering these dogs go through for the sake of being made to look a certain way.